She had been hearing voices from the far and beyond; strangers paying unexpected visits in her dreams. Some earnestly sharing their darkest secrets while others resolutely keeping their distance, but frightening her nonetheless with their cold demeanour. It was during these times that she missed Rob the most. She would break out into chilly sweats, anticipating the nightmarish 'voices in her head' and how she wished to warm up against his heat then! But she was living an irony she couldn't escape. The strong desire for her deceased husband had opened the gates of the other world that grey damp night. "Hadn't I promised never to leave your side dear? ", his jovial voice had beamed out of nowhere, silencing the crackling fire. Yikes! How absolutely spooky! And with this, you have returned with a bang! 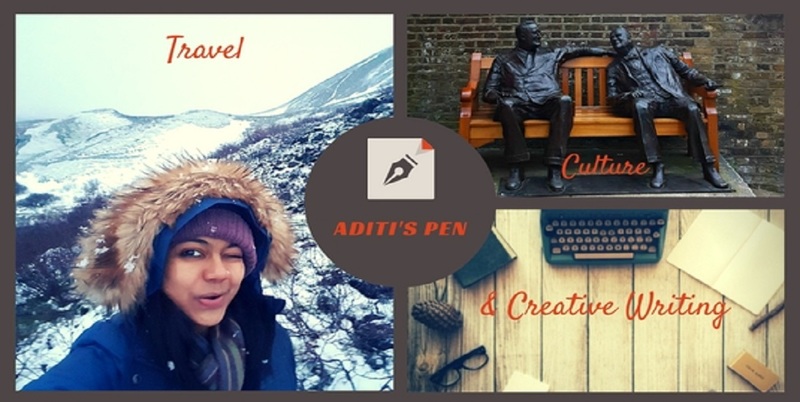 Yay, Aditi! Thanks Shailaja! Hope I can write better and write more often! You inspire me with your discipline! Don't know where my comment went so sending this again. This made me smile. The other side is always trying to communicate with us if we are receptive to it. Nice one. Ooooo well woman I have always been a huge fan of your fiction stuff. This one too like many others, too good! Intriguing story! Will you continue? I'd love to know if there is the treats for irony? and how to help her to live without him? ~ Nicely written. Creepy and spooky story!! Sometimes wishes realize in a strange way! Don't they? Interesting, Aditi. Had a gut feeling about the ending, but spooky nevertheless. Well written. Ooooh, creepy! *shiver* Well done! Very well done! Keep it coming! Until then, I had never raced in Brooks. Out of the box, ray ban australia outlet these shoes look cool with their ridged sole. The finish is neat. ray ban sunglasses australia I am amazed by the profile of the model that seems narrow heel and expanded on the front of the foot, ray bans australia online but the fitting reassures me right away.